A random number generator (RNG) is an important part of slot machines. 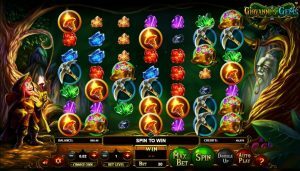 But many players mistakenly assume that the RNG determines slots payback. This isn’t true, because other elements control slots payout percentages. Find out exactly what determines payback along with what the RNG really does. A random number generator cycles through countless number combinations, each of which represents a different spin result. For example, one random number sequence might deliver the lowest payout available. Another number combination will deliver you the jackpot. Every slot machine has an RNG that’s used to cycle through number sequences and determine payouts. The role of the random number generator, plain and simple, is to deliver random results. Casinos are supposed to offer randomization to ensure fair gaming. Otherwise, gamblers might think that a casino is cheating. Imagine if a blackjack dealer dealt players 10 low cards in a row, only to deliver themselves an ace and 10 (a.k.a. blackjack) every time. Everybody at the table would suspect that the casino was cheating, because the results follow a predictable pattern rather than being random. 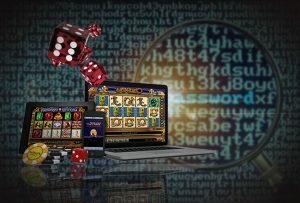 The same concept is true of slots, where casinos need to ensure that results are randomized and in line with industry standards. The thought that the RNG determines slots payback is off base. Instead, the pay table and amount of “stops” for each symbol determines payback. The pay table shows how much each icon offers players. For example, five eagles might deliver 10,000 coins, while five pigeons will only pay 10 coins. Symbols that have more stops are more likely to be chosen by the RNG. And the lower paying icons like the pigeon will have more stops. As you can see, the RNG’s job is merely to choose symbols based on their amount of stops. This program does not, however, decide how much long-term payback you’ll receive. ← What Is the Slots Squirrel System?